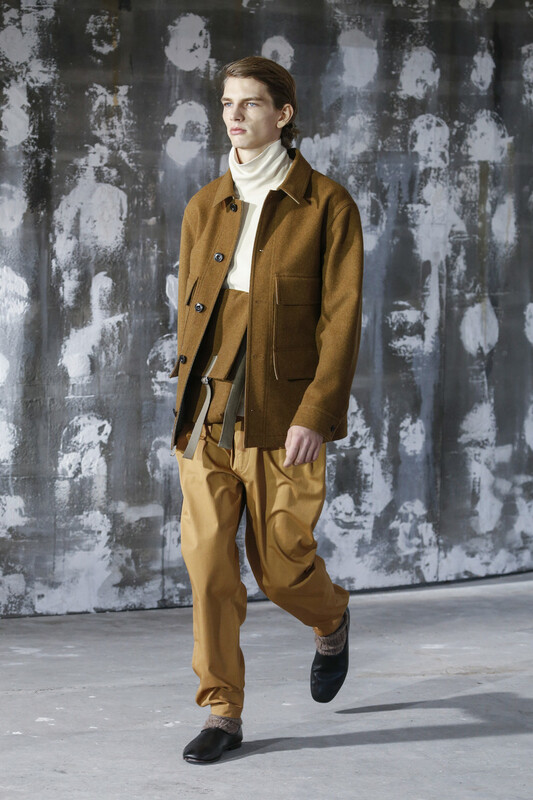 There were hints of English suede heads of the Seventies in the larger flare pants and three-quarter lengths worn with boots. 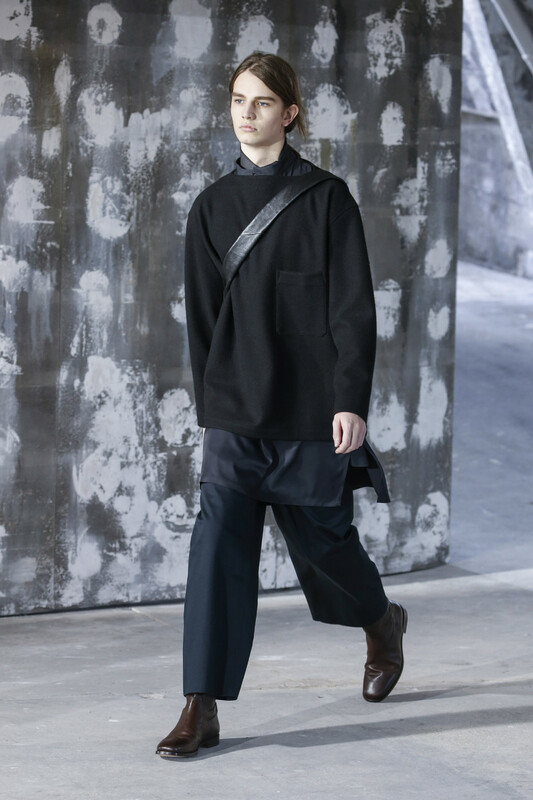 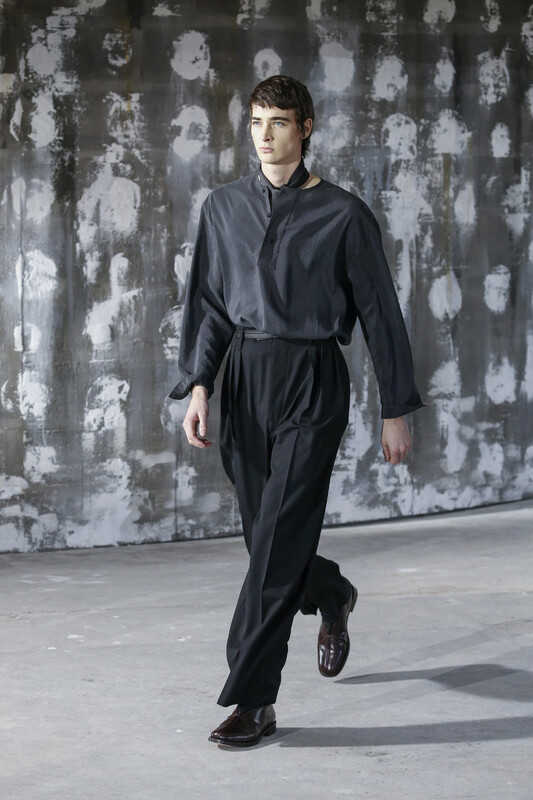 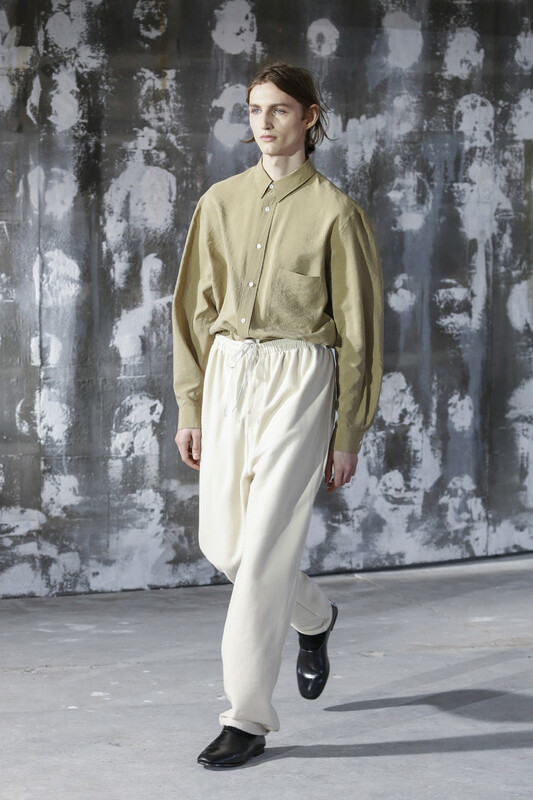 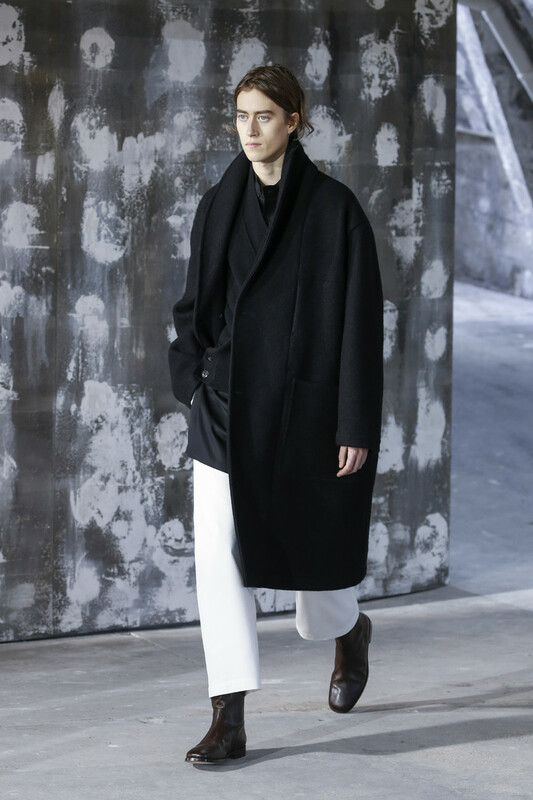 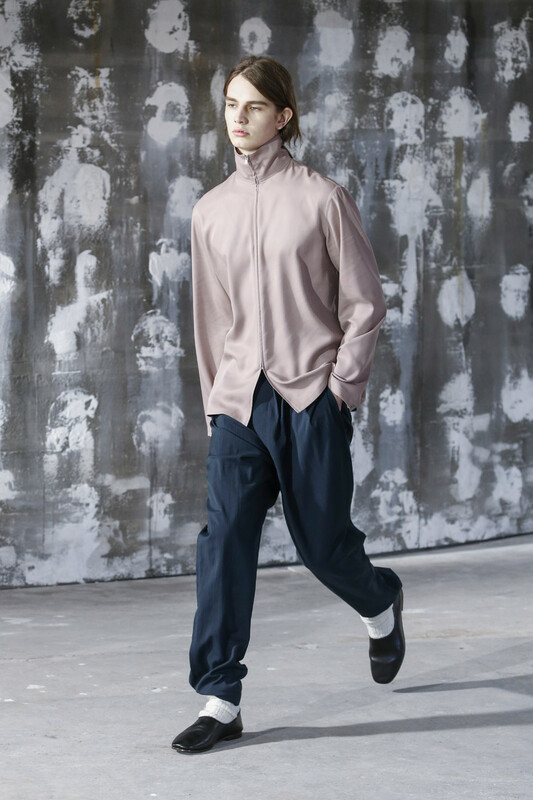 Juxtaposed with Moujik pants, caftans and Tibetan coats taken from Tolstoy’s descriptions of humble folks, it was a trademark of Lemaire’s season of zen-meets-workwear. 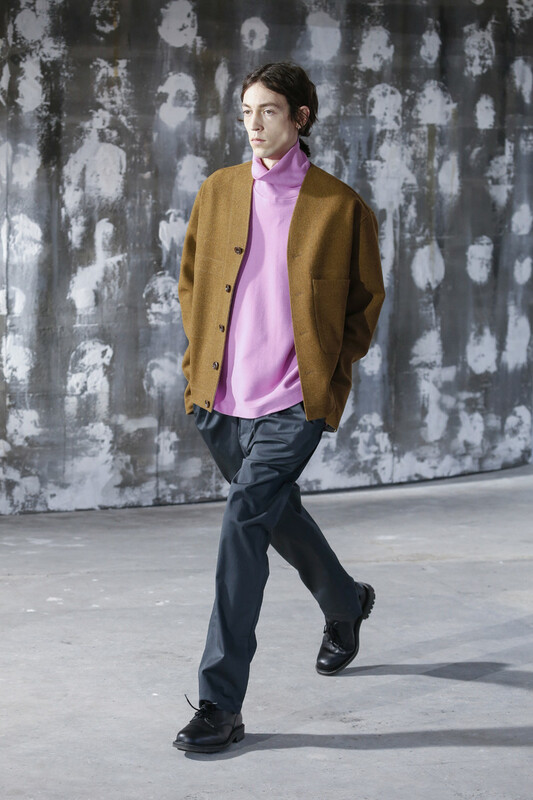 Amid the clinical crispness, bubblegum pink sweaters, muted overdyed paisleys or marbled swirls — the work of French endpaper artist Atelier La Folie — felt like a thunderclap on a clear day. 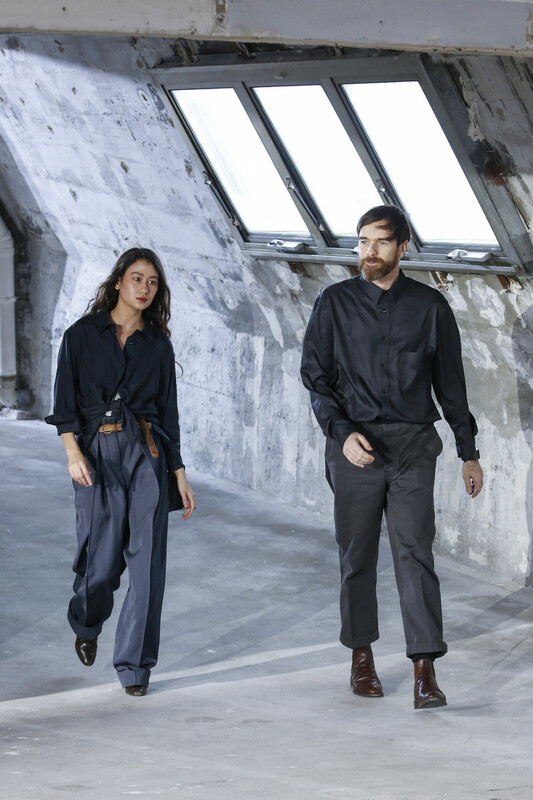 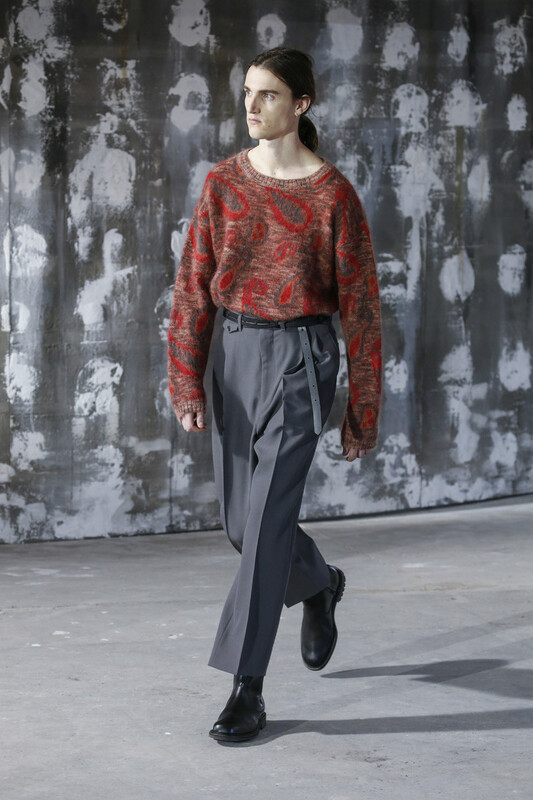 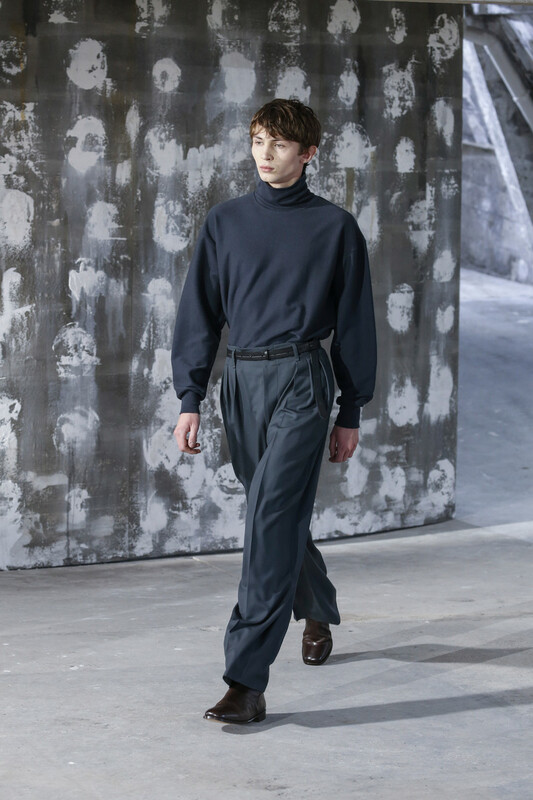 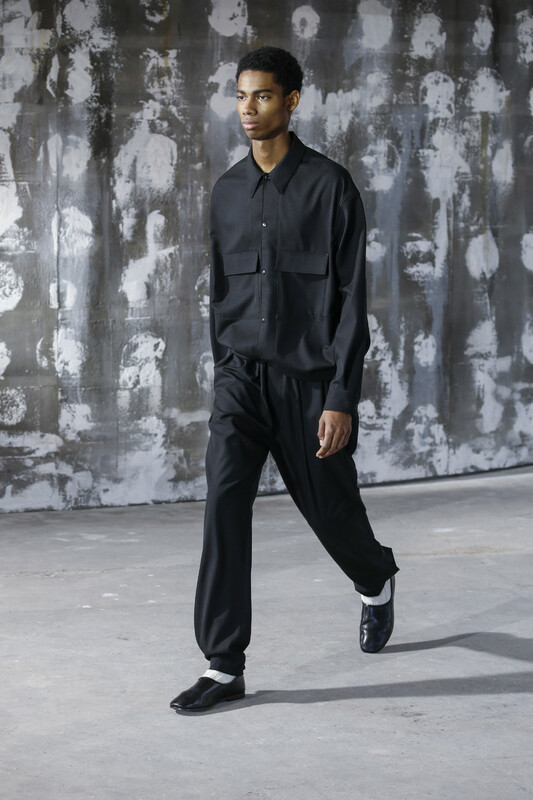 Lemaire and Sarah-Linh Tran have developed a glossary of classic Parisian understatedness in their work — think Yves Saint Laurent, the man and the ultrachic male Parisian. 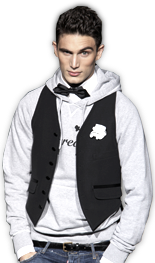 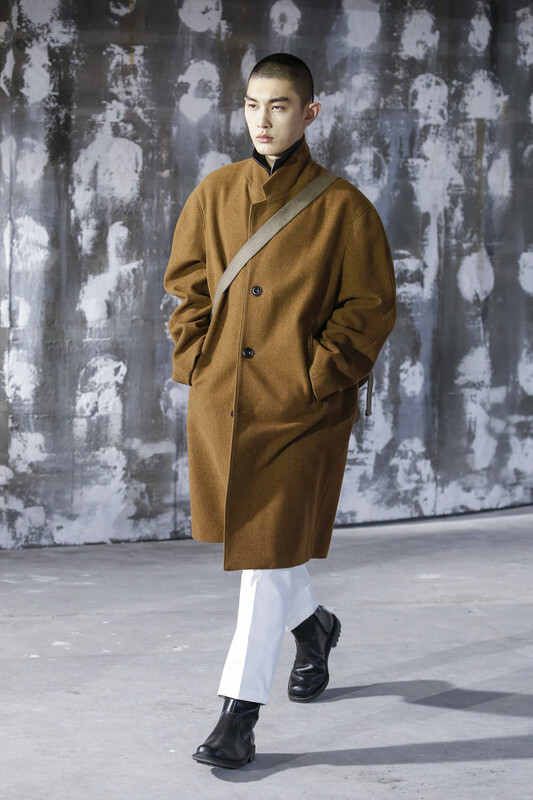 In their hands, an overcoat piled atop a jacket and several other elements do not add much bulk, making their layers more nuance than cold weather strategy. 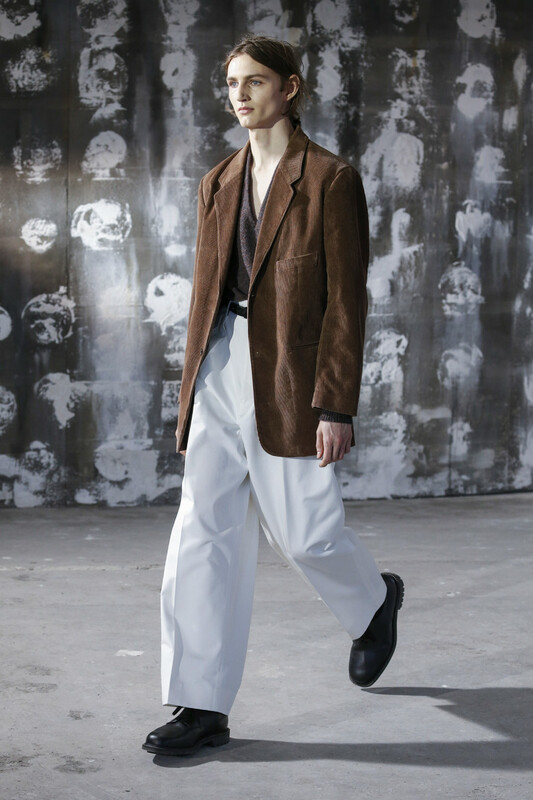 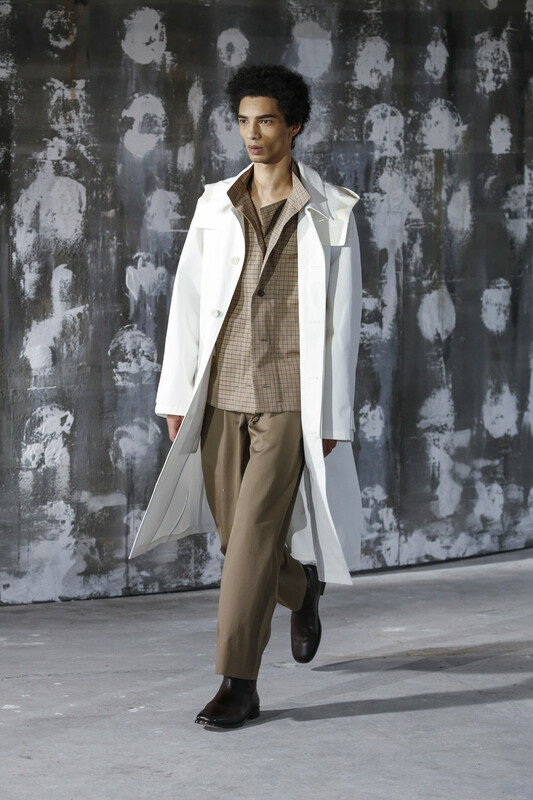 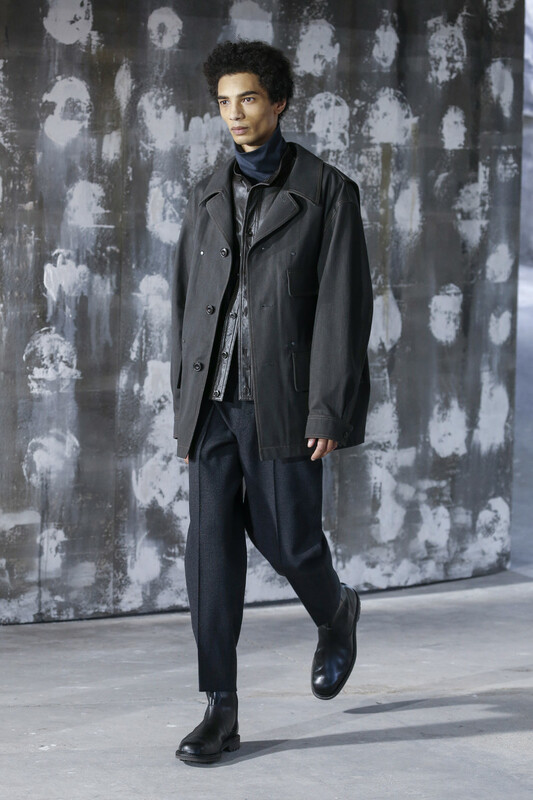 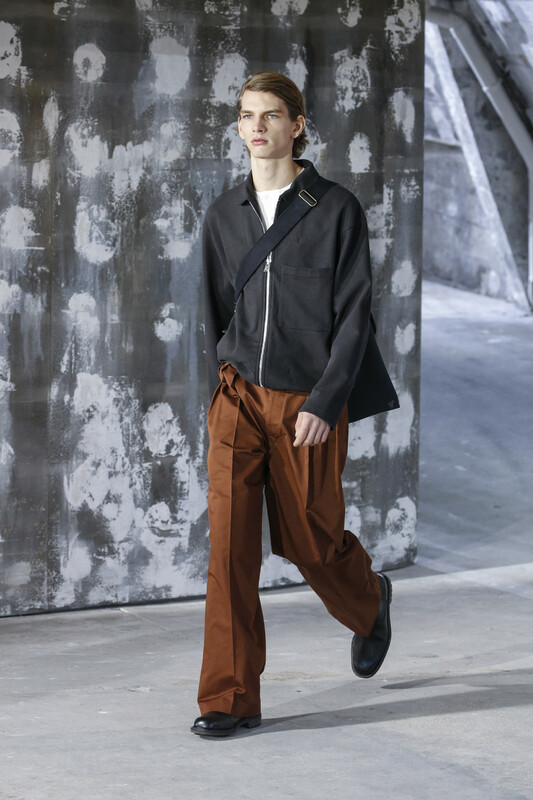 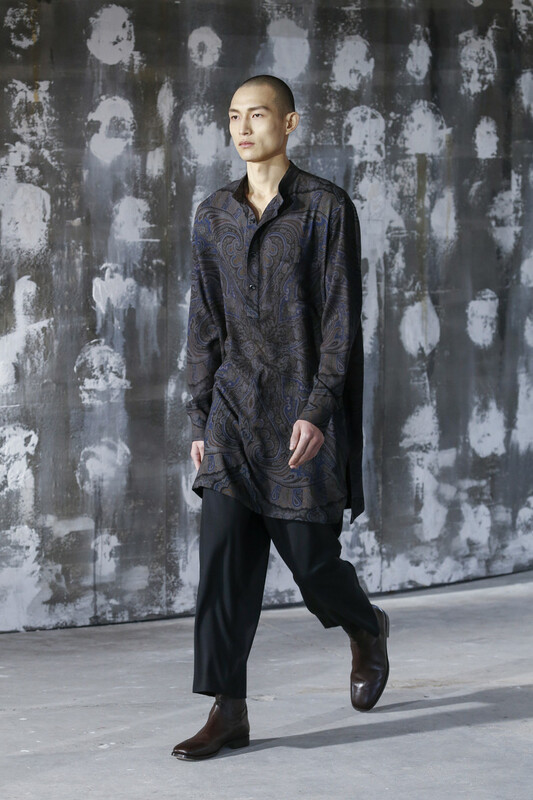 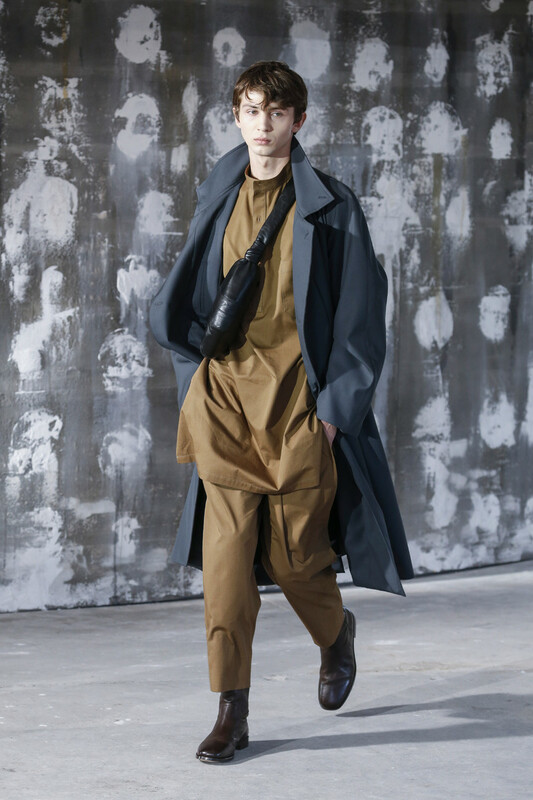 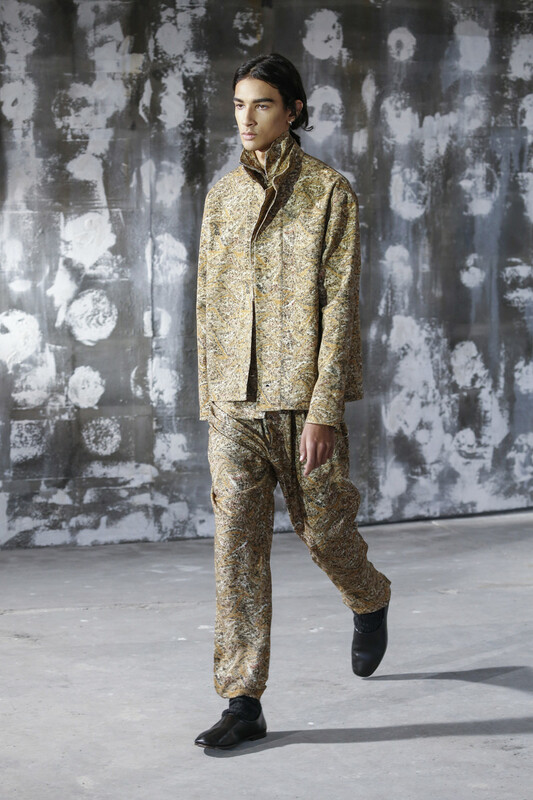 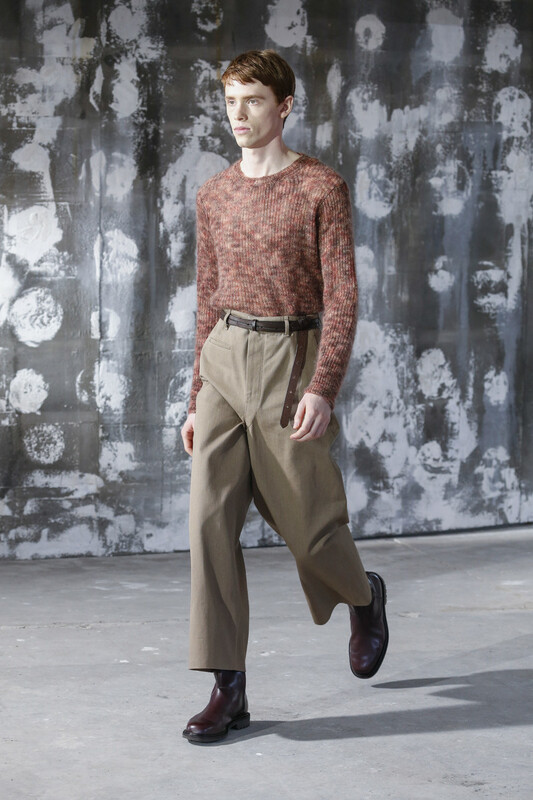 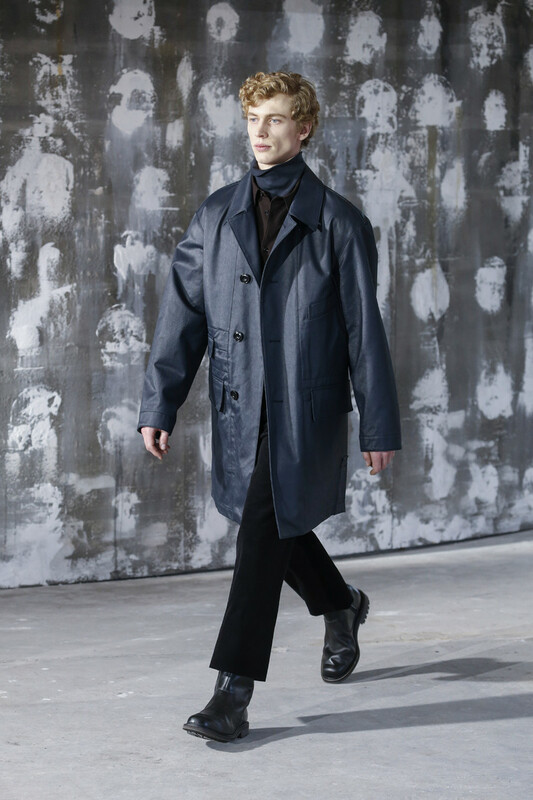 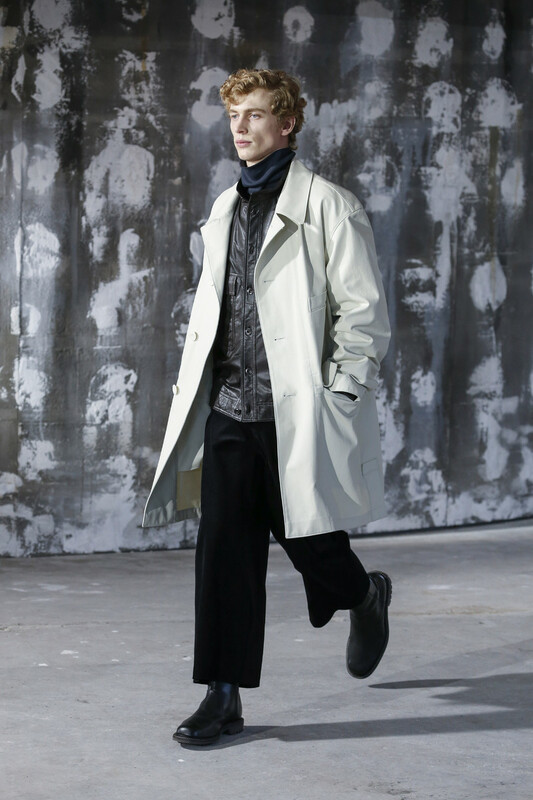 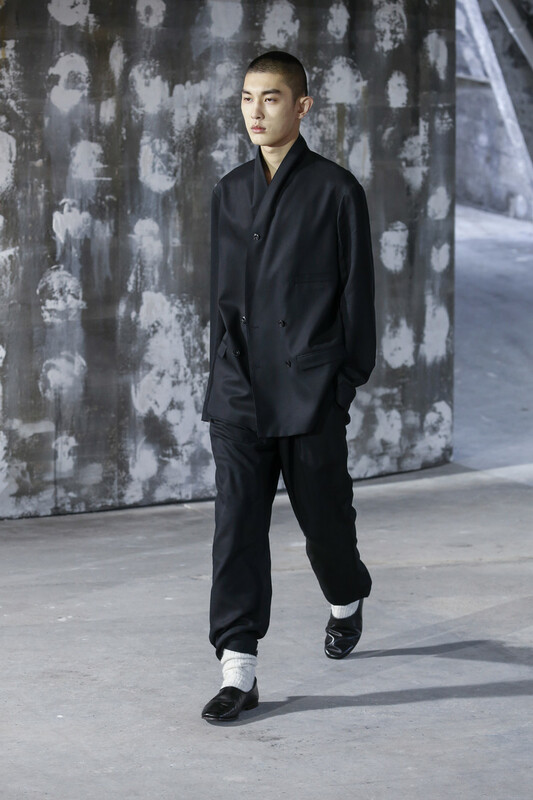 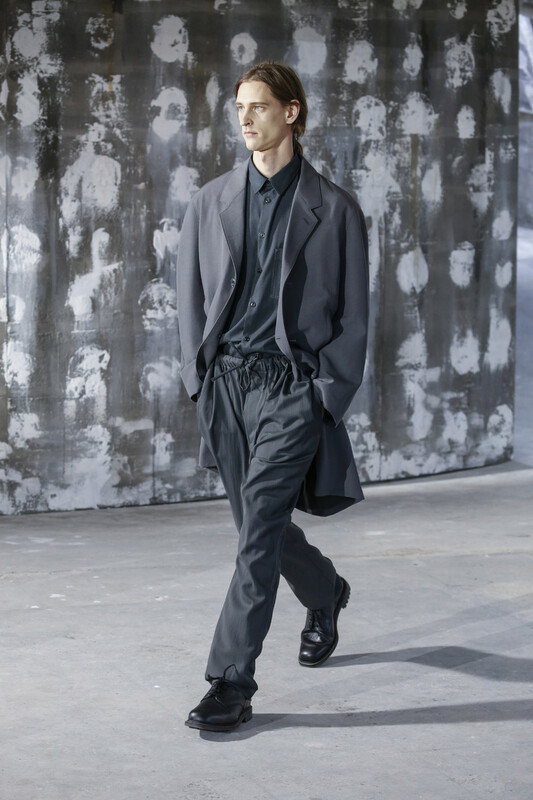 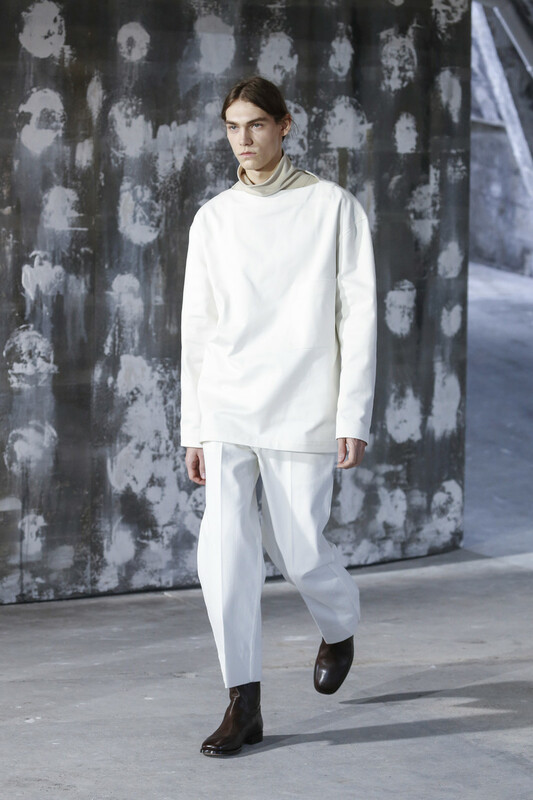 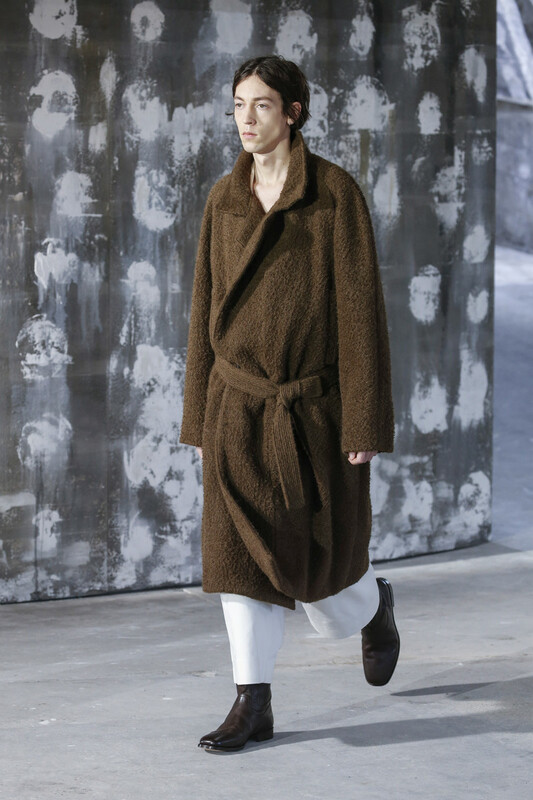 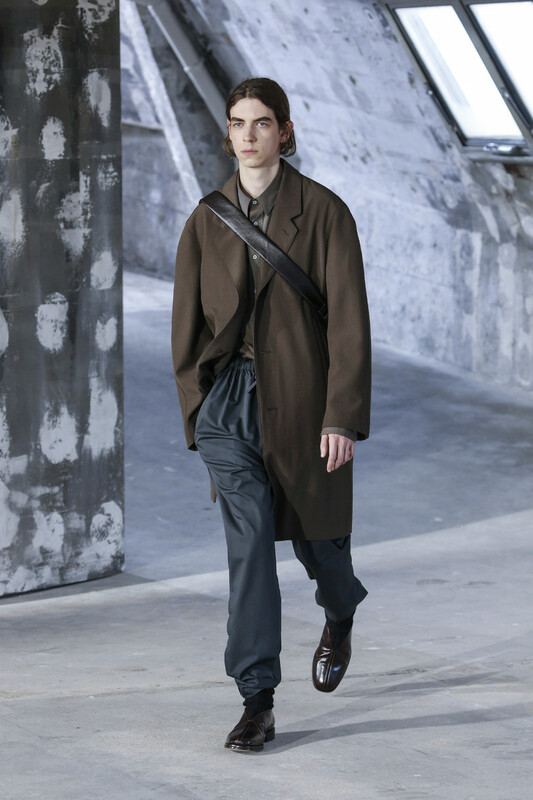 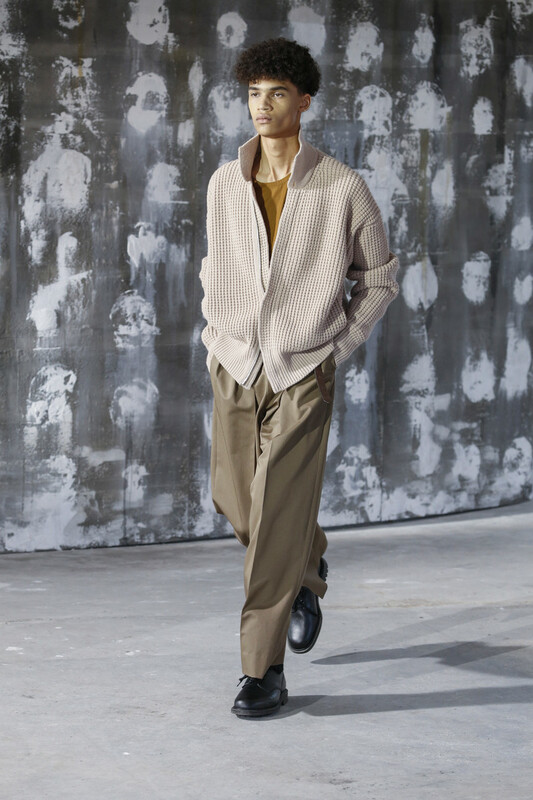 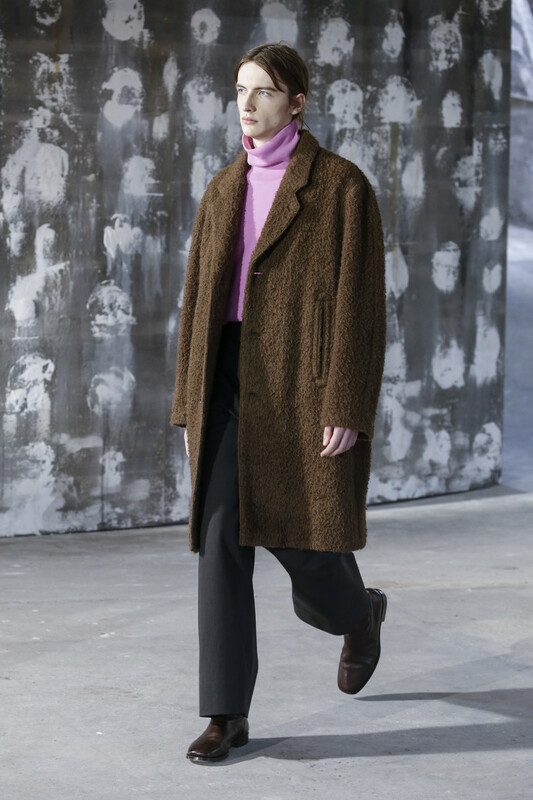 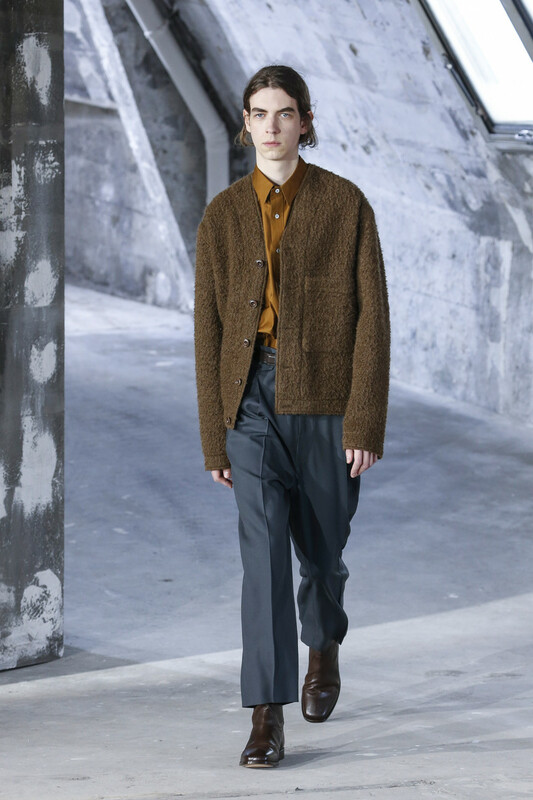 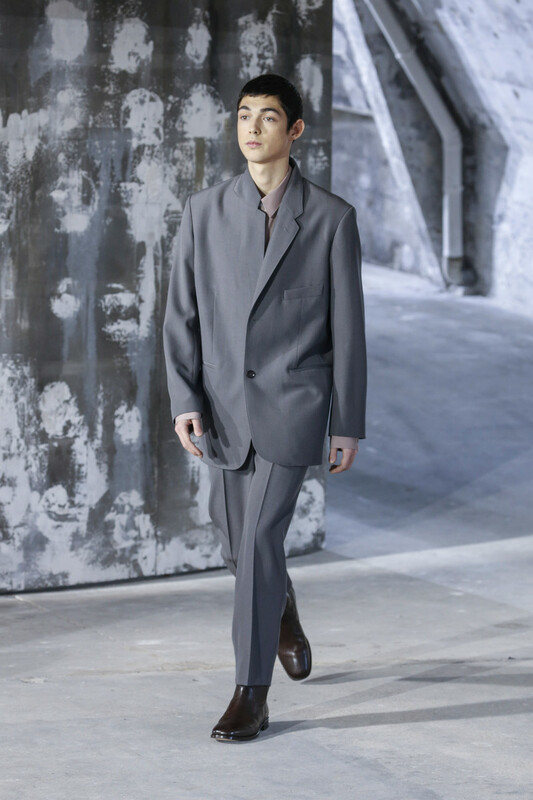 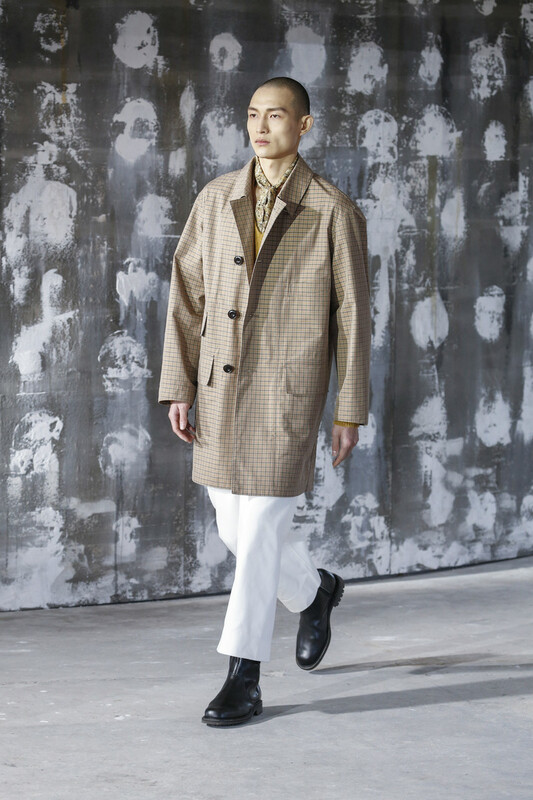 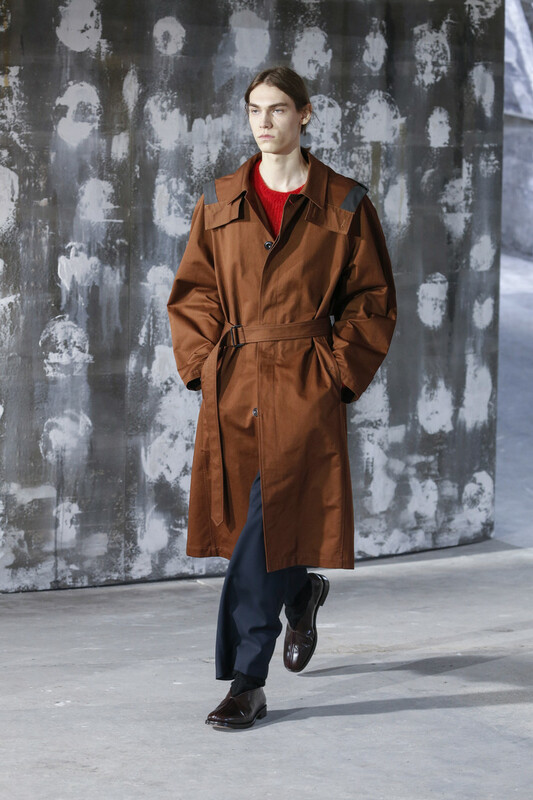 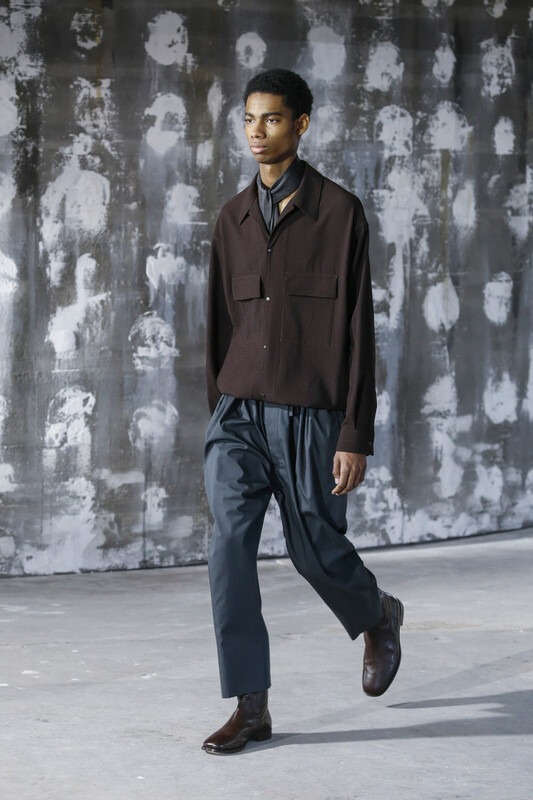 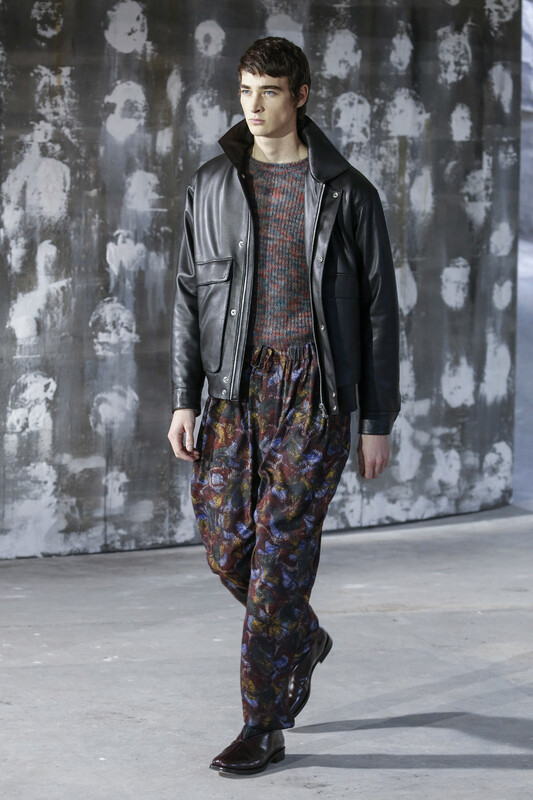 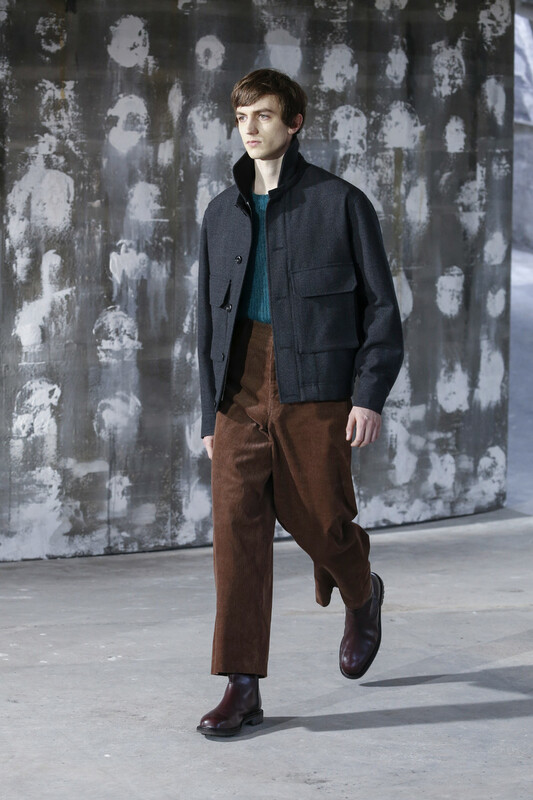 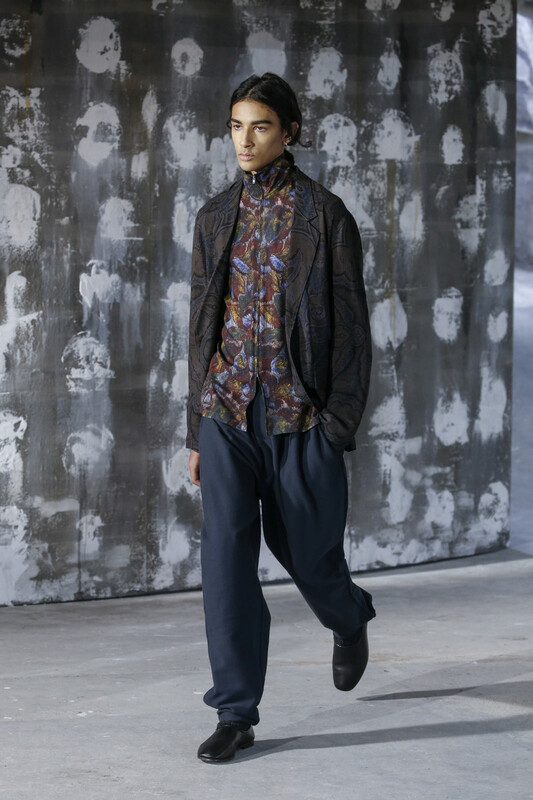 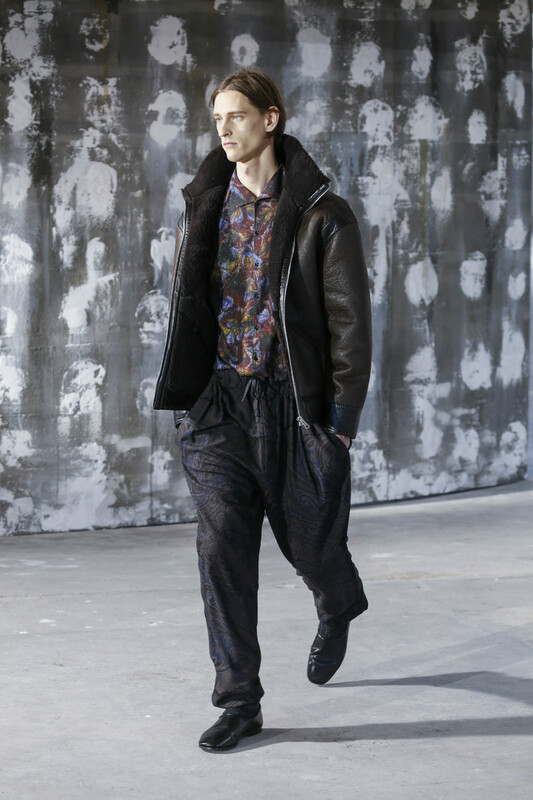 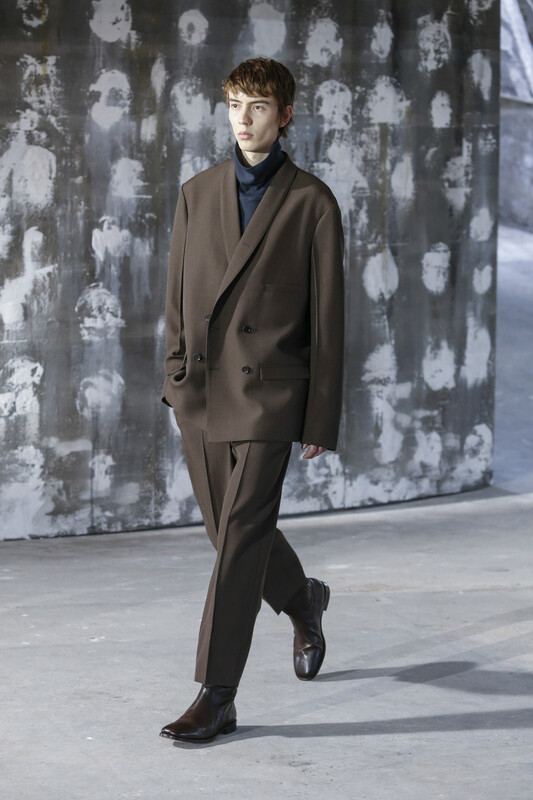 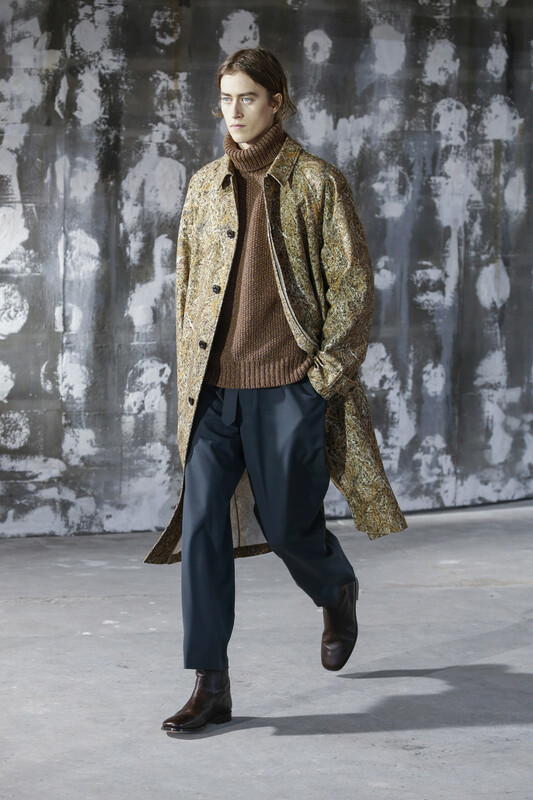 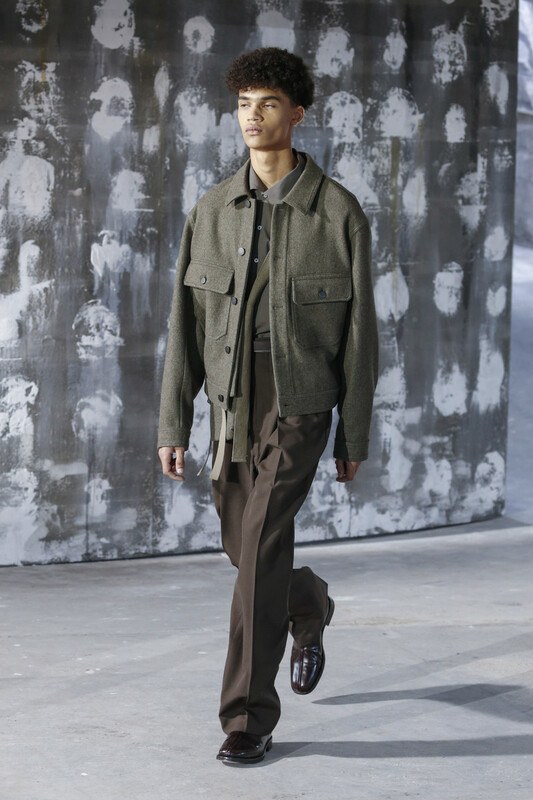 Yet the standouts were undoubtedly those silhouettes in which the volume play was marked: a sheepskin flight jacket, worn with elasticated paisley pants; oversize chimney collars and flowing pants, and a generously proportioned marbled hooded raincoat.